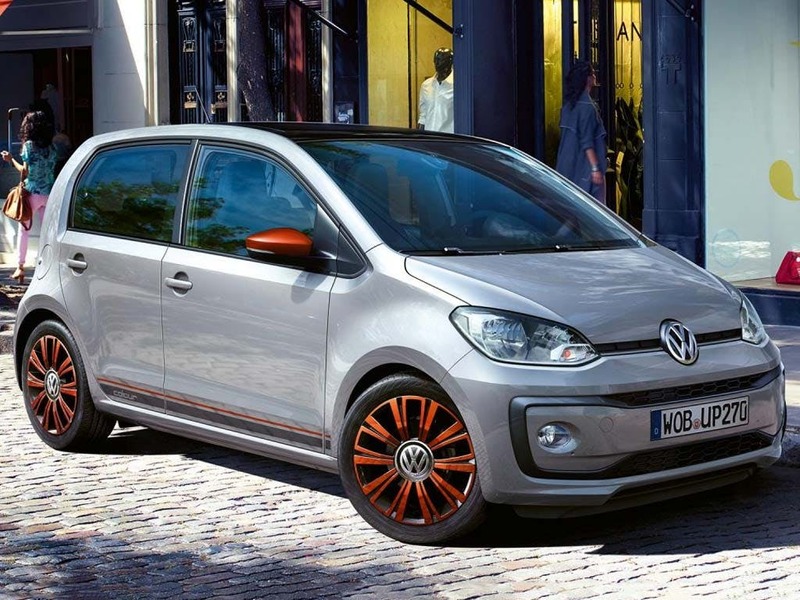 Rated five stars by Auto Express, the new VW Up! mixes great practicality with a distinct design. With other 1,000 available colour combinations, the new Up! 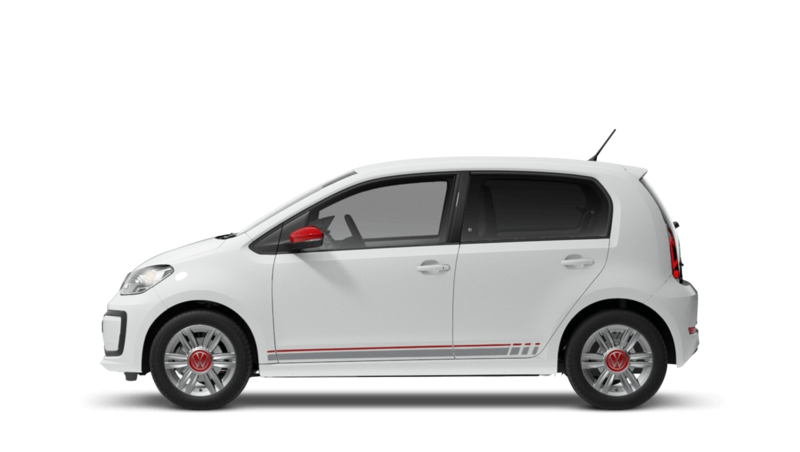 lets you personalise your car to match your personality and comes with three or five doors. An 88bhp 1.0 TSI engine powers this compact car, giving it the power to speed through the city. 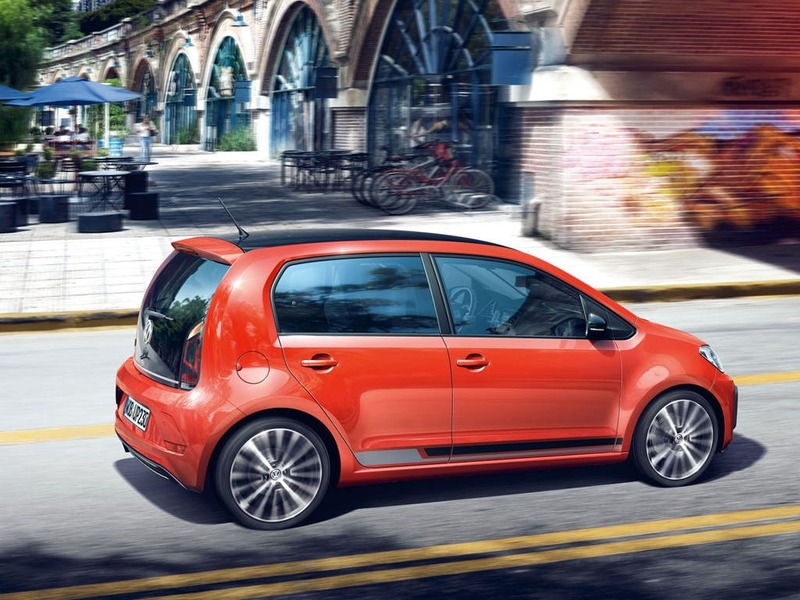 Discover all the latest Volkswagen up! offers currently available. 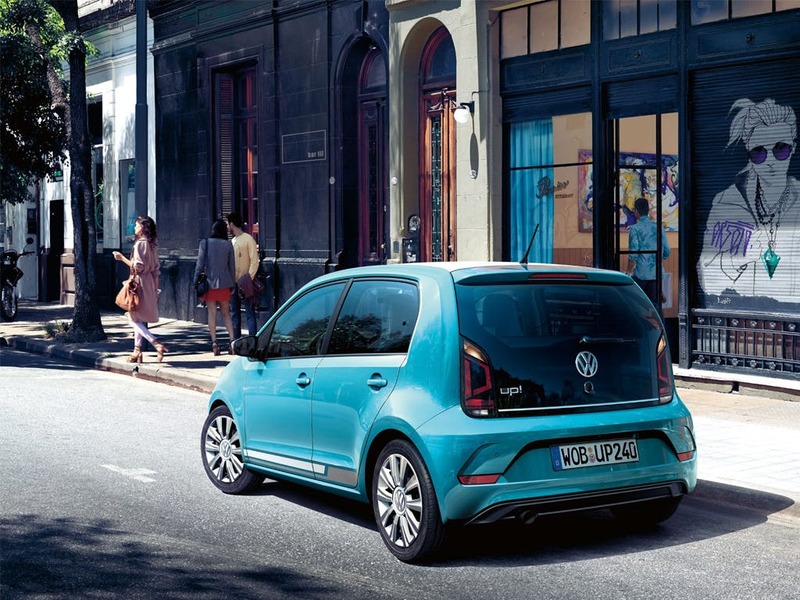 Every detail matters, view the Volkswagen up! technical specification. Download the latest up! brochure. The new VW Up! is available with an extensive range of vibrant and subtle colours, from bright yellow to dark grey. High-end and sporty alloys add a splash of style whilst the newly redesigned front bumper has a modern feel. The bonnet steeply slopes down to a slim grille with the VW logo in the middle, whilst two clean lines cut down to the end of the slanted headlights, creating a more assured stance. 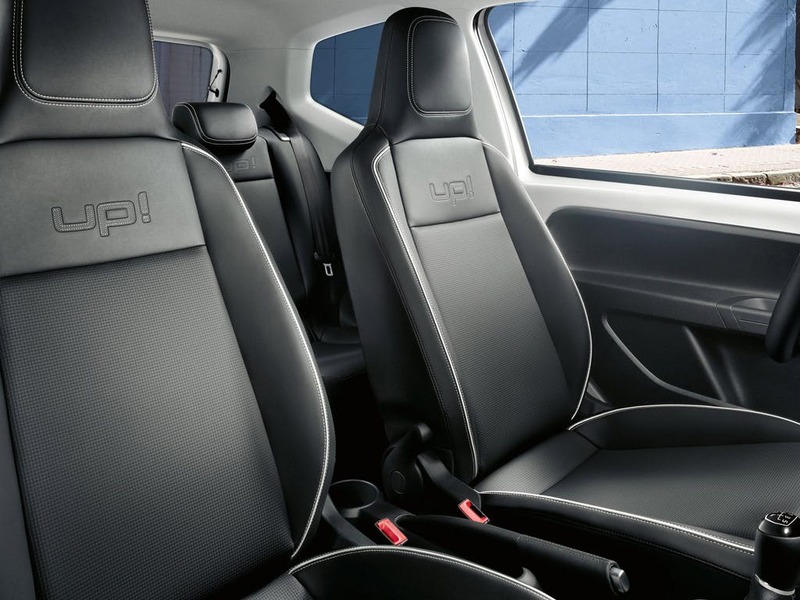 The interior of the new VW Up! is as customisable as the outside, including the colour and material used for the dashboard and seat material. A multifunction steering wheel lets you control various systems through buttons on the wheel, letting you focus on driving. 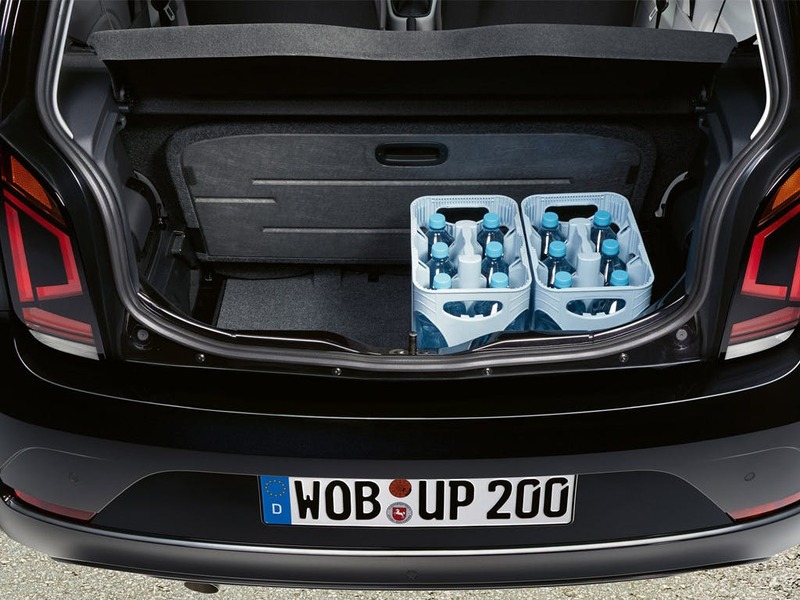 The boot space features 251 litres of storage, increasing to 959 litres with the 60/40 split rear seats fully folded away - impressive for such a compact car. 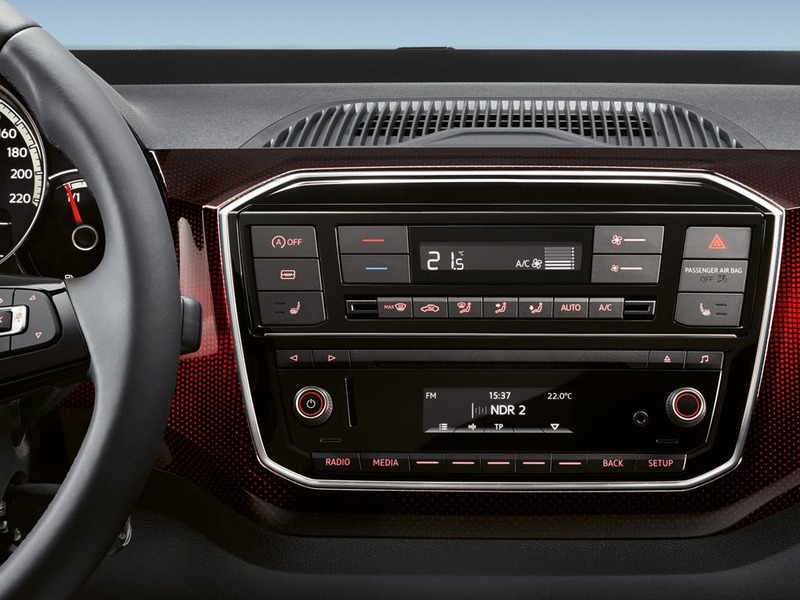 A DAB radio with a 3.1-inch screen, AUX port, SD card slot and MP3 connectivity comes standard in all Up! models, keeping you and your passengers entertained. Connectivity in a car is more important than ever - that’s why a Maps + More app offers online and offline satellite navigation with a music player functionality. Available in the special edition model, a BeatsAudio sound system delivers crisp and clear audio. Depending on what model you choose, the VW Up! engine comes with three levels of power - choose from a 1.0-litre engine with either 59, 73 or 88bhp. The most powerful engine can reach 114mph and hits 62mph from 0 in just 9.9 seconds, letting you zip around the city with ease. The VW Up! mpg varies, with the most environmentally friendly and economical engine being the 1.0-litre 59bhp model getting up to 68mpg. 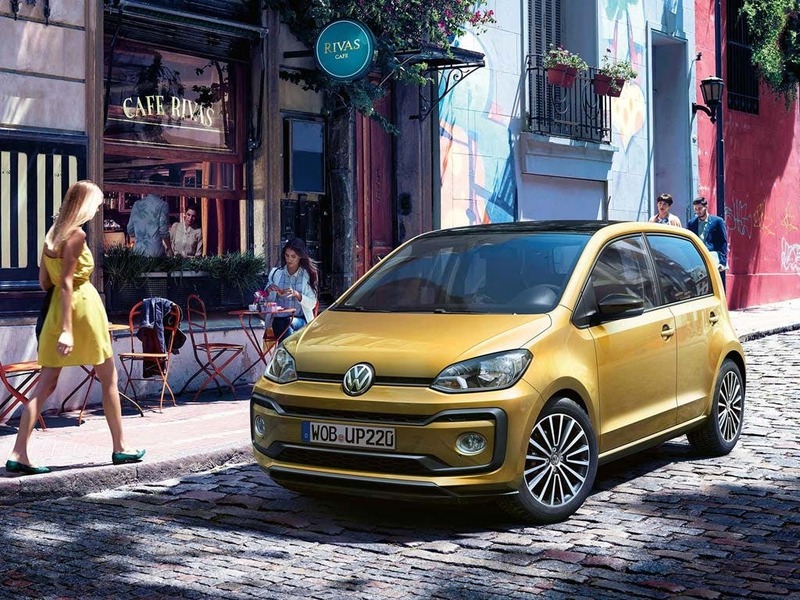 Experience the new VW UP! for yourself by booking a test drive at your local Volkswagen dealership in Kent. 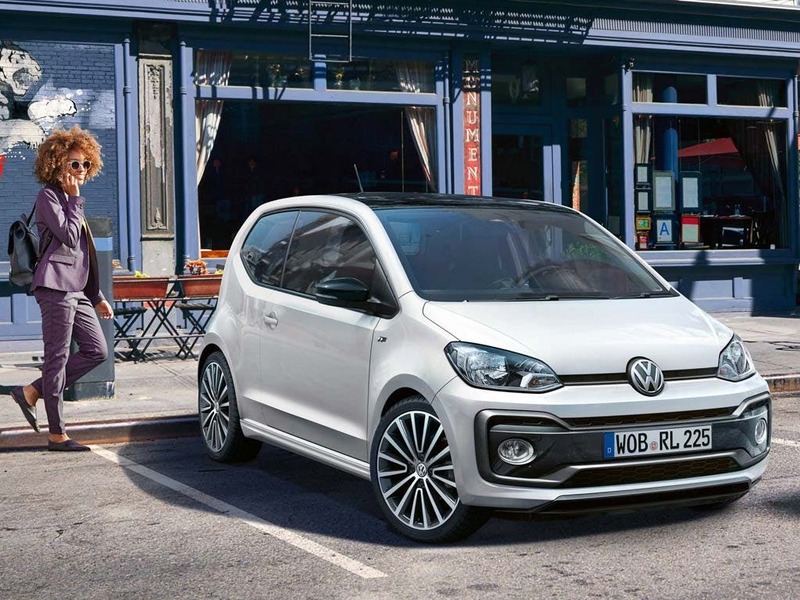 If you’re looking for more information about the VW UP! or want to discuss the best purchasing options available for you, visit your local dealership or call us to speak to a friendly member of the Beadles Volkswagen team who will be on hand to help answer your enquiries. 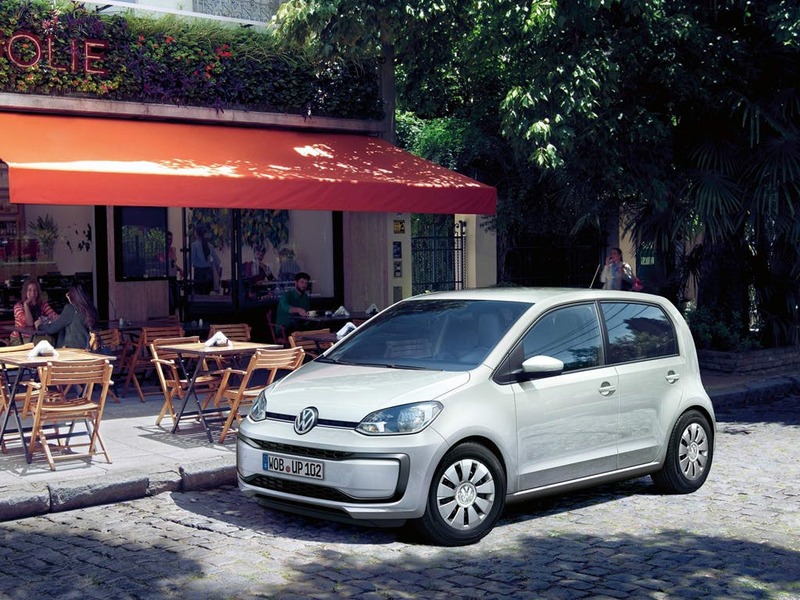 of customers that bought an Volkswagen Up would recommend to their friends and family. I was happy with the service at Beadles Volkswagen Sevenoaks because I am a long term customer having bought many vehicles from them in the past. I'd definitely recommend Beadles Volkswagen Maidstone to friends and family because they give you all the information & prices without prompting unlike some other dealers that fudge when you ask about prices ande availability or don't re4turn calls when they said they would. The experience at Beadles Volkswagen Dartford was fantastic because the salesman Wesley Brock was not pushy, he explained everything that I needed to know. He was was friendly and patience. I'd recommend Beadles Volkswagen Maidstone to anyone because of their friendly, professional staff & I love my new VW. I'd definitely recommend Beadles Volkswagen Dartford because they are helpful from the start of enquiry of purchasing a new vehicle through to the handover. The staff at Beadles Volkswagen Sevenoaks were good because Mr. Colin Stratton was not in any way pushy. Had he been it would have frightened me off. Very satisfied with the entire experience. Mr Jeremy Smith is an absolute boon to the company. He was respectful, knowledgeable and very patient in handling all my queries. I was delighted with his handling of the purchase of my car & cannot recommend him more highly. The experience at Beadles Volkswagen Bromley was great because the service from sales manager David Burusso was exceptional, I hadn't booked an appointment but he was more than happy to take me out on a test drive. Adam of Beadles Volkswagen Maidstone was excellent because I felt he listened to my requirements to ensure I found the right car for me. The whole team including Lee the business manager made the finance process very easy. Beadles Volkswagen Sevenoaks were really helpful and I'd recommend them because Jeremy Smith was friendly, highly professional and knowledgable. They also sell good cars! I'd suggest Beadles Volkswagen Bromley to a friend because the showroom is lovely, reception very helpful, froendly faces everywhere and even offered hibiscus tea. Home / Volkswagen / New Cars /up!